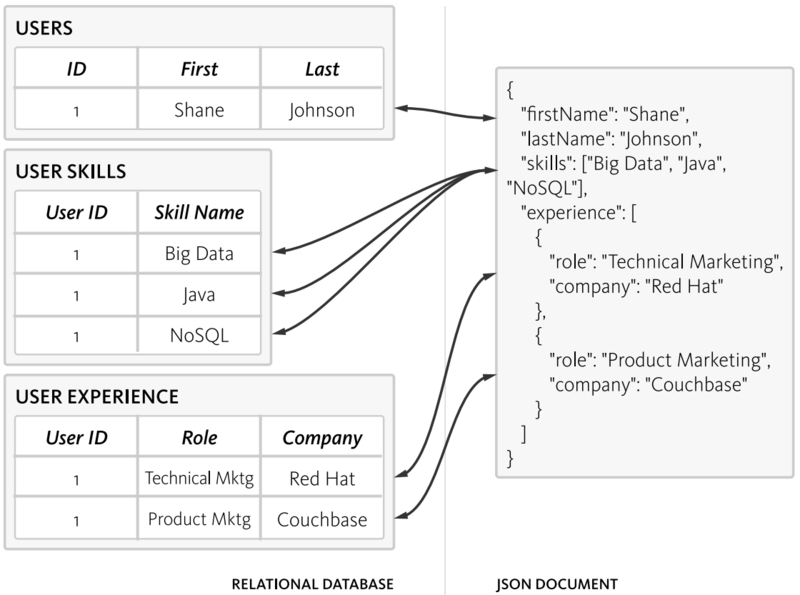 Couchbase Inc. today announced an upgrade of its flagship NoSQL database system designed to help enterprises with extensive SQL experience and talent move to the NoSQL world. And why do that? 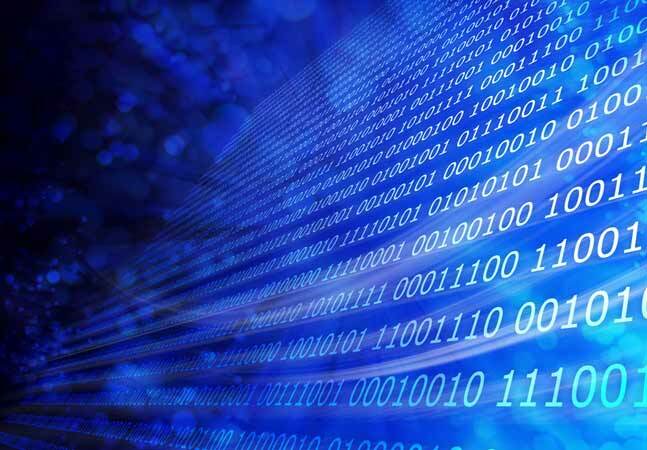 Couchbase provides a bevy of reasons why enterprises should move off the aging SQL/RDBMS model to NoSQL in the age of "Digital Economy" businesses that rely heavily on a new class of Web, mobile and Internet of Things (IoT) applications. 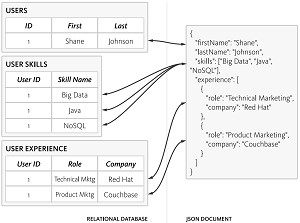 The company said its new Couchbase Server 4.5 will help developers introduce NoSQL to their enterprise architecture. A key component of the updated database system is the company's homegrown N1QL query language based on traditional SQL. The N1QL (pronounced like "nickel") language was first featured in the Couchbase Server 4.0 beta release about a year ago. N1QL allows SQL-like queries of data presented in the JSON format favored in the NoSQL world. 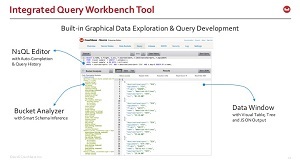 The query language now can be used with graphical tools such as the integrated Query Workbench for visual data exploration and creating ad hoc database queries. 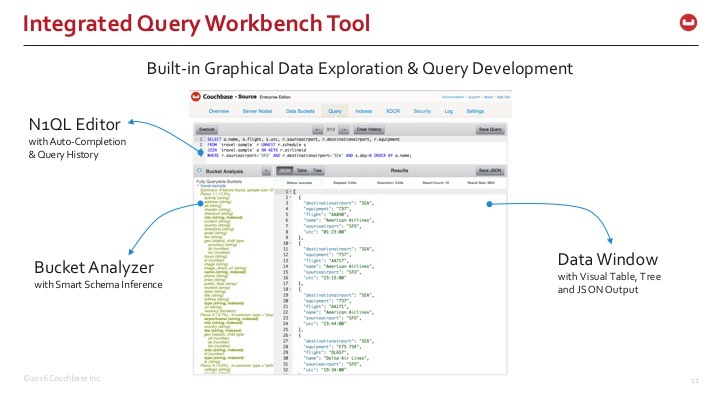 "Using the Query Workbench, you can conveniently explore data, create, edit, run and save N1QL queries, view and save query results, and explore the document structures in a bucket -- all in a single window," the company's Web site says. Ability to view the structure of the documents in a bucket by using the N1QL INFER command. Developers no longer need to select the documents at random and guess the structure of the document. Ability to display query results in multiple formats: JSON, table and tree. Developers can also save the query results to a file on disk. Couchbase also touted performance enhancements, improved security and better container support in the new offering, which can be used as a managed cache tier, a key-value store or a document database. Query performance is boosted by memory-optimized global indexes, array indexing, flexible JOINs and faster partial reads/writes with JSON documents. Security is improved via the use of X.509 certificates for client-server encryption and the addition of role-based access control (RBAC) for administrators. Also, Docker and Red Hat OpenShift container platforms now enjoy production-certified support, so developers can use the new technology to easily and quickly scale database deployments while maximizing resource efficiency and simplifying the application lifecycle. "Couchbase Server is built to be a general purpose databases that supports Web, mobile and IoT applications," company exec Cihan Biyikoglu said in a blog post today outlining the new features in version 4.5. "It is critical for modern applications to have the agility to develop and iterate fast on their code and for the database to provide the best deployment model for any scale the application needs."